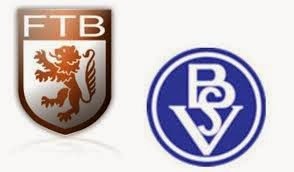 In the postponed match of the German Regionalliga group North in Braunschweig will face Freie Turner Braunschweig and Goslarer SC. FT Braunschweig is on the last place of the standings with 2 wins, 4 draws and 19 losses and goal score 19-70. At home, FT Braunschweig has 2 draws and 10 losses and goal score 7-41. In 2015, FT Braunschweig has one draw (at home against VfB Oldenburg 0-0) and 4 losses... Goslarer SC is on the 15th place with 7 wins, 6 draws and 12 losses and goal score 37-48. In away matches Goslarer SC.has 3 wins, 4draws and 5 losses and goal score 21-23. In 2015, Goslarer SC has 2 wins (in the last two rounds against LSK Hansa away 8-0 and at home against Werder Bremen II 3-0), tw draws and one loss (at home against firstplaced Wolfsburg II 0-3).